Fifty years ago today the British Parliament took the first steps on a long journey to end the victimisation and diminishment of LGBT people by decriminalising consenting ‘homosexual’ acts in private. We celebrate this step and lament that more progress has not been made. Anglicans can celebrate that in 1967 Archbishop Michael Ramsey strongly supported the change in law; a change that enabled gay men and women to live private lives without fear. A change in law is not a change in heart and mind. The first step was tolerance and from there acceptance. Over recent years there has been a move to celebration and the road continues for the full celebration of LGBT people in society and church. The recent commitment of the Archbishops of Canterbury to a ‘radical inclusion’ signifies a new path for the Church of England confirmed by the General Synod of the Church of England rejecting ‘conversion therapies’ and making a commitment to the welcome of transgender people. None of this would be possible if the first step of decriminalisation had not been taken. We celebrate the first step on a long road. However, ‘homosexuality’ in some form or other remains criminalised in 72 countries around the world. LGBT people continue to face diminishment and victimisation and where one suffers we all suffer. Our humanity is diminished when sisters and brothers are victimised. In many countries the laws are rarely used, but their existence breeds a culture of fear and legitimises violence, intimidation, and bullying. People are not free to be who they are and it is impossible for their voice to be heard. All the instruments of the Anglican Communion have made clear their commitment to the end of criminalisation in every nation, most recently the 2016 Primates Meeting – where the Archbishop of Canterbury was explicit in its commitment to decriminalisation. The good news is that some are speaking out. The Archbishop of the West Indies and the Bishop of Jamaica have both spoken out publicly and courageously for decriminalisation in cultures where homophobia is rife. Anglican lay people are also acting. Human Rights lawyer Alice Mogwe was one of the leaders of a successful campaign for the rights of LGBT people to organise in Botswana. 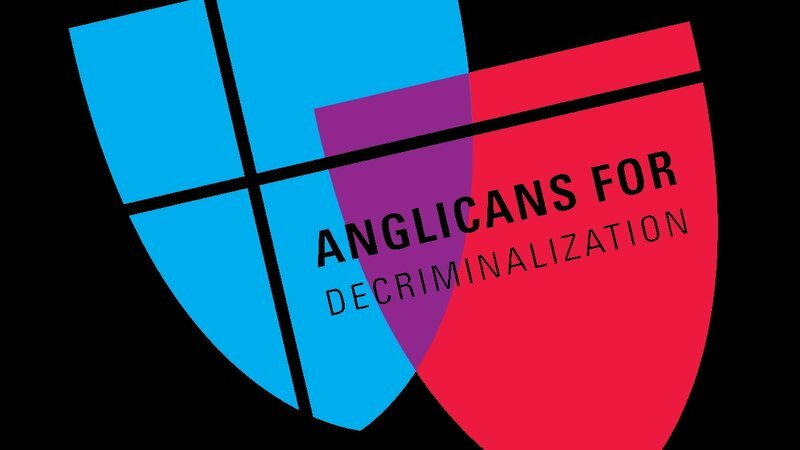 APJN calls upon every Anglican to support Anglicans for Decriminalisation. Please read this article from Maurice Tomlinson and support the campaign Anglicans for Decriminalisation by signing the petition. We also lament that transgender people have this week come under attack from the President of the USA. The direct target of his words may be a small group of people in the US military, but the result as noted by the Presiding Bishop of TEC, is the legitimisation of prejudice against transgender people everywhere. Today we celebrate a monumental first step, let it give hope. In celebrating this step let us not be content until there is an end to the criminalisation of LGBT people around the globe.